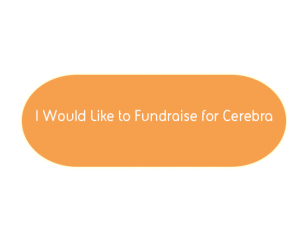 Cerebra > Fundraise > Fundraise for Us! If you would like to take on a sponsored challenge or a fundraising event of your own, you’ve come to the right place. From skydiving to car boot sales, bungee jumps to teddy bears picnics, whatever the challenge or event we would love to hear from you! Click on the button below and fill out a quick contact form to let us know what you’re doing and to receive one of our fundraising packs. Want to take on a thrilling airborn challenge? We are charity partners of Skydive Swansea so if you’ve ever thought of skydiving for Cerebra, we can help! Not only this we have connections with UK Bungee and UK Parachuting which have various locations all over UK. If you have any questions or would like to sign up, please fill out the contact form above or contact our Fundraising Team on 01267 242 586. Fundraising for Cerebra will spread awareness to families with children with brain conditions of the support we can offer and help us continue to support them in discovering a better life together through our research and information.